Read more for a great discount offer on StickerYou products below. Take a quick read of almost any marketing article published in the last few years, and you’ll come away with the distinct impression that social media marketing, search engine optimization, email marketing and other such non-traditional media approaches are the only ways that companies can truly connect with their customers. Yet as powerful as these “new” methods may be, smart marketers today are looking beyond the online realm to find additional ways of building awareness and goodwill for their brands – and one of the more unconventional and unexpected of those methods is: stickers. 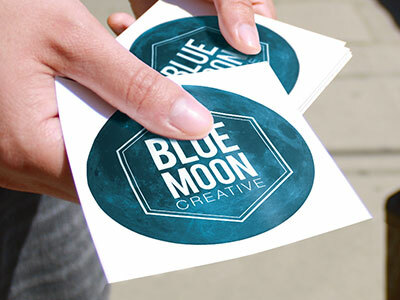 The fact is, despite the emphasis today on digital marketing and social media, 90% of word-of-mouth advertising is still taking place offline (Keller Fay Group) – which is why the simple sticker remains a great way for businesses to get the word out to potential customers, and reinforce their brand with existing ones. And with the groundbreaking new technologies being pioneered by companies like Toronto’s StickerYou, creating those stickers is now easier than ever – that goes for custom labels, temporary tattoos, iron-ons, wall decals, window decals and floor decals, too. "I would choose budgeting more money to give away more free stickers over paying for advertising any day." The potential for profit is one thing, but where’s the proof? For that, look no further than news, entertainment and social networking website reddit.com. A runaway success with over 29.8 million unique visitors and 2.8 billion page views per month, the company has shelled out a total of only $500 for marketing – ever – all of which was spent on stickers. 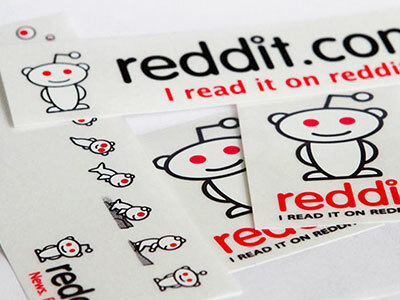 Reddit, which launched in 2005, used stickers bearing their logo to generate rapid awareness for the fledgling brand. The founders themselves claim that these stickers, which were distributed and slapped up all over the world, played a key role in igniting the phenomenal growth that has taken the company to where it is today. ”Stickers are the soundest investment I ever made” states Reddit CEO Alexis Ohanian. Nonprofit organization Feel Your Boobies has seen similar benefits in using stickers. Representatives of the organization give out free stickers at events as a way to broach conversations and raise awareness around the topic of breast cancer. The stickers themselves act as conversation starters for the charity. Leigh Hurst, founder of Feel Your Boobies, echoes the sentiments of the principals of reddit: “I would choose budgeting more money to give away more free stickers over paying for advertising any day”. "Office signage and branding can be just as important as proper lighting and ergonomic furniture when it comes to productivity." Thanks to StickerYou's innovative online platform, the process of designing and producing custom swag stickers couldn’t be easier. Users simply upload a logo, design, or image, then choose a material and set the dimensions and quantity. With no minimum order quantities, even smaller organizations can create stickers and still ensure they are getting the most out of their marketing budgets. 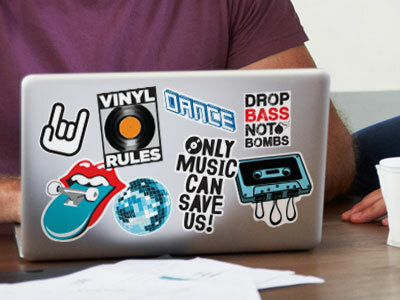 Get 10% off StickerYou products when you subscribe to our newsletter.